What happens when you invest in the future of your community. So we often get asked what make you a “social enterprise”, we the answer is simple, we have a social conscience, we put something back in to the community. 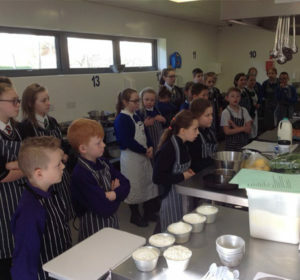 We recently organised a Junior Beach Bake off. 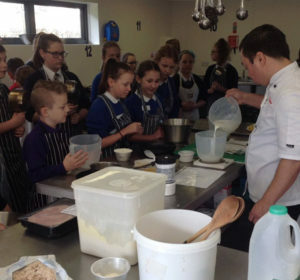 1000 local youngsters competing in a baking competition, engaging with local employers, doing something different, building relationships with other schools, food, business and beyond…now that’s a social impact. The project was a collaboration between YMCA Somerset Coast, Butlins, West Somerset Council, West Coast 360, West Somerset Academies Trust and Job Centre Plus. 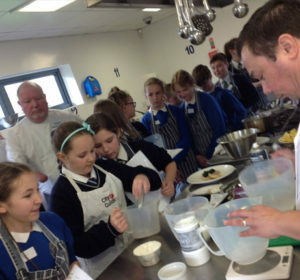 Staff and apprentices from the Beach Hotel have been going into schools running workshops and heats. These will culminate in masterclasses with Chefs Paul Ruttledge and Werner Hartholt for the heat winners followed by the finals during the week of March 19th. 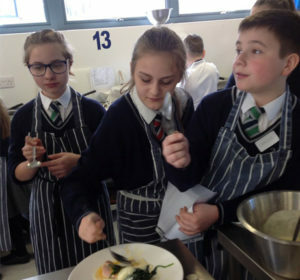 The aim of the initiative is to inspire children to learn new skills, raise their aspirations and develop an interest in hospitality and catering. This is a key industry in West Somerset with 55% of all jobs linked to tourism and as the ‘bread basket’ of the South West, Somerset has arguably the finest and broadest offering of locally produced food in the United Kingdom. You are here: Home > Blog > What happens when you invest in the future of your community.